Sign up for Broadjam today to follow Max Power, and be notified when they upload new stuff or update their news! Max Power: The Band takes the classic grunge/alternative rock sound of bands like Pearl Jam, Alice in Chains, and Soundgarden, then adds their own varied influences such as prog-rock, metal, funk-jam bands, etc. They are most recently compared to bands like Fuel or Audioslave. Max Power's current lineup consists of Matt O'Gara (guitar/vocals), Nick Elliott (bass), Travis Sowden (vocals), and John Brower (drums). 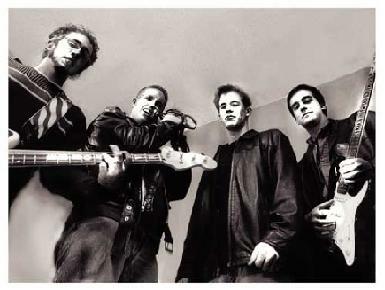 In their relatively short music career, they have toured across the midwest and California, won the Iowa State Fair Battle of the Bands in 2003 (based on audience vote at listening stations and their performance), and have had songs place on Top Ten Rock and Midwest lists on mp3.com and Broadjam.com. Their songs have been heard on several radio stations in Iowa, and they have even had songs placed on TV shows, including the TLC network. They also have a full length album, 3 Ring Circus, and are currently working on new material for an upcoming album.